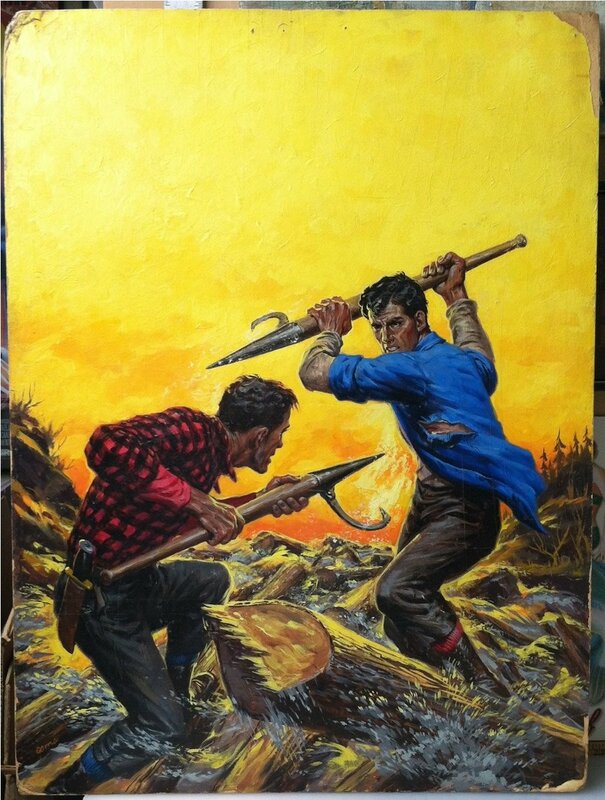 Description: Lumberjacks battling it out. Comment: People I know, including myself, who like the “sweat” magazines often point to the implausibility of the depicted situations as one of the things that specifically attracts them. Here's a great case in point. Fighting in this manner would require solid footing... the notion of a life-or-death battle occurring on floating logs is absurdly lovable... I mean this in a good way. 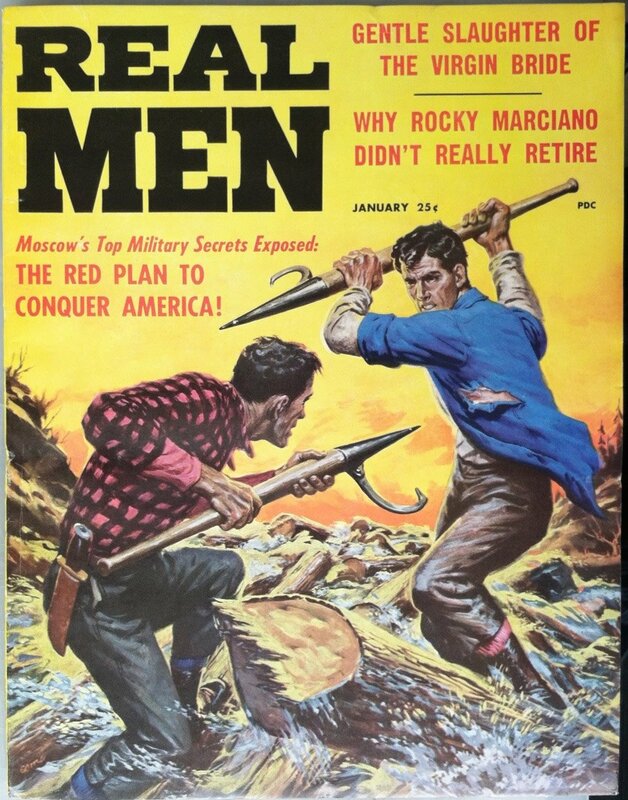 Publication Information	 Cover illustration for Real Men magazine of January 1957.